« Should I get a Skyhook? I just got back from a trip to Idaho in the USA. 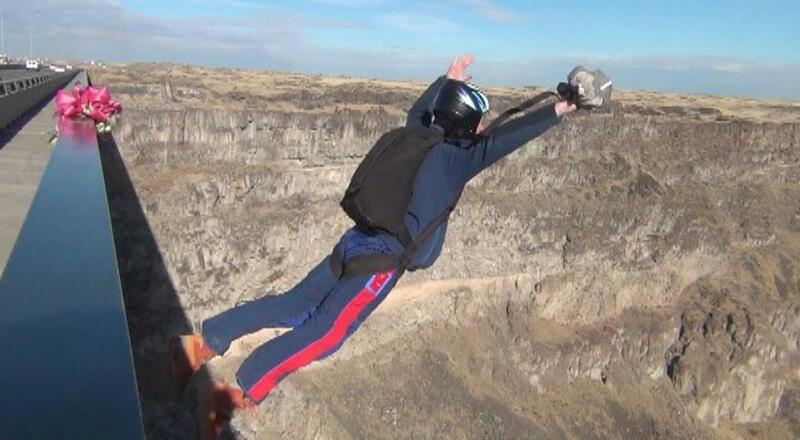 The town of Twin Falls has this bridge, the Perrine Bridge, which tolerates BASE jumping from it year round. The bridge is 486 feet above the Snake River. It is quite an impressive sight. Jumping from it is also quite fun. A big thank you to Tom Aeillo from Snakeriver BASE for the guiding and hospitality. Here’s a video of my some of my jumps.